In a past blog about 10 years ago in 2008 I first wrote about the Roman Jewish Kingdom of Calalus in North America connected with the Tucson Arizona artifacts as written about by Professor Cyclone Covey. I also wrote about their connection with the Septimanian Jewish Kingdom and the Welsh and Spanish royalty. I also linked them to the mystery of the Tuatha de Danaan. The Manannan or Danaan people of the Tribe of Zebulon were also known as the Frisians (R1b U106 L48). Around 650-700 AD they had left their Kingdom in Calalus and settled on the Isle of Man as well as another group in France in the area of La Mans (Maine) and in the area of Frisia as well as their homeland of Frisland or Lochlann Island. Some of the Frisians had embraced Judaism and Catholicism while others remained or re-embraced paganism and others held to elements of all three. However the Frisians in the north were mainly pagans. The term Manannan (Manaan/ Manaanan, Maine and other variants) refers to the Western Lands (America) and can be confusing as it is a name used for the Frisians as well as for the British or Welsh inhabitants of Calalus. 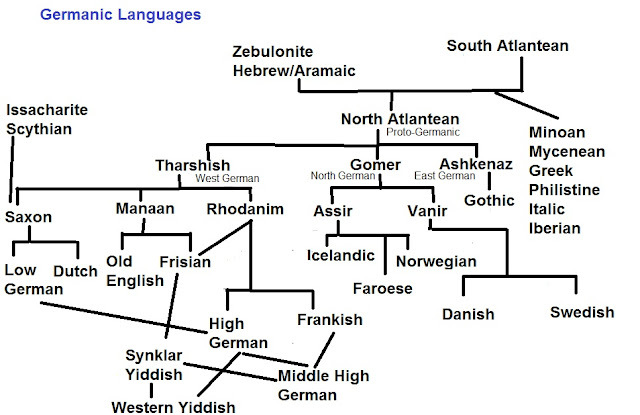 Old English and Old Frisian are very closely related languages descending from the Zebulonite languages of which Old German, Old Yiddish and Old Dutch are also branches. The Basque language however was the language that developed in Calalus among the Rhodans drawing on the Aquitainian, Ladino and Welsh languages with also some input from the Tolteca (Ogham) language of America as well as Latin and Hebrew. Thus the Mananaans (Manaans) spoke Anglo-Frisian and the British Calalusians a version of Cymric (Welsh) and the Rhodans Old Basque-Aquitainian. The original Zebulonite language found in Western Europe developed from a mix of the Hebrew-Aramaic of northern Israel mixed with the Atlantean language (Old Greco-Hebrew Language). Old Western Yiddish in fact may be the language of the Synklar Jews of Calalus who settled in Germany and Poland from the 10th century and mixed with the Aramaic speaking Jews of Ashkenaz. This Synklar Yiddish influenced Middle High German. The Western Yiddish language would spread east and mix with the Slavic based Jewish language to create Eastern Yiddish. 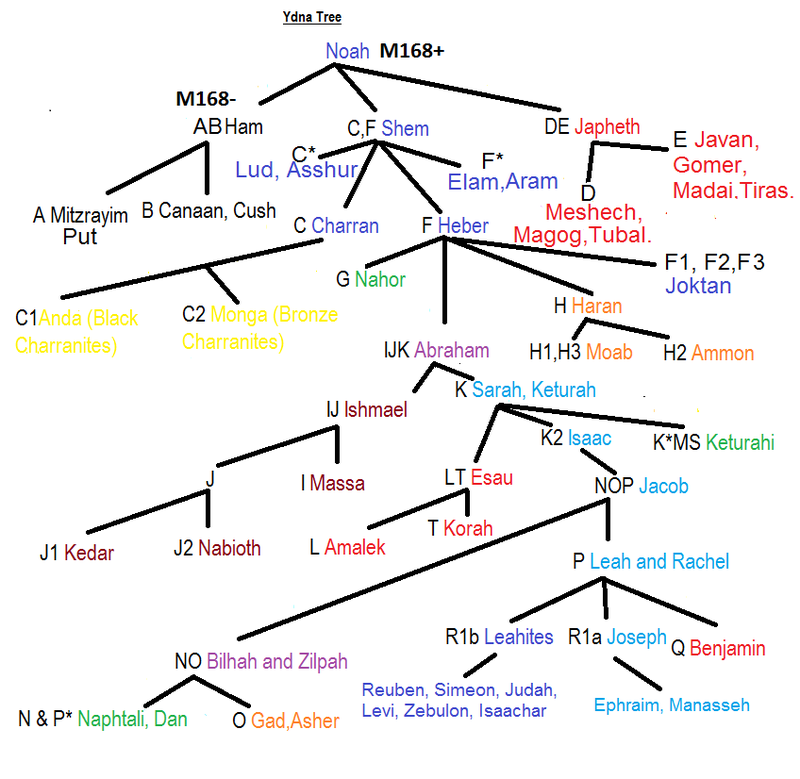 These Synklar Jews who joined the Ashkenazi Jewish communities belonged to both the Manaan R1b U106 and Rhodan R1b U152 and R1b DF27 haplogroups. Sadly these Jews suffered the greatest loss of numbers during the Holocaust. 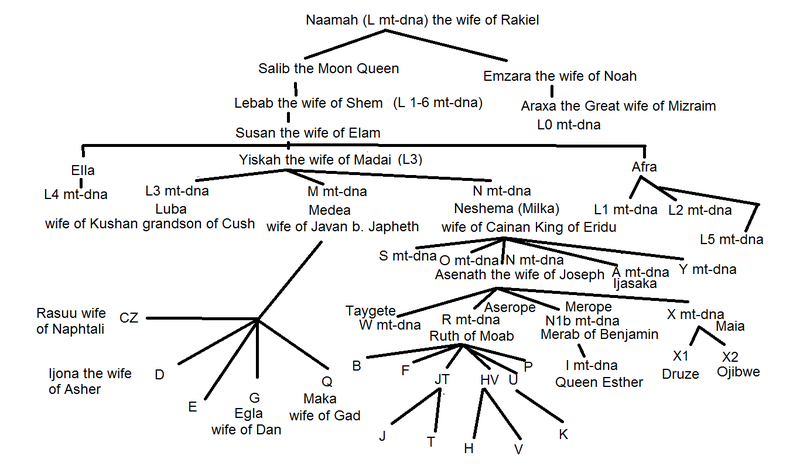 As the Western Zebulonites didn't receive their U106 marker until about 580 BC they had in the time of the Northern Atlantis kingdom belonged to R1b P297 y-dna as part of the Sons of Leah. The R1b P297 Israelites including the Zebulonites may have received the M269 marker as a result of the cataclysmic destruction of Atlantis in 968 BC. It was during the time of the Atlantean Empire and after that the tall blonde haired blue eyed Zebulonites known as Danaan settled in the Americas. They encountered there the red-bronze skinned Rhodanim or Toltecas (probably C haplogroup) and the white skinned red haired descendants of Manasseh (R1 M173*) from which the name Manaanan or Manaan was given as a name for America. The name of Tarshishim in Jewish tradition of a group of angels was taken from the blonde haired, white skinned and blue eyed Zebulonites descended from Helon. In the south Atlantean language and Mycenean Greek they were known as the Akero (messengers) and in the north Atlantean language of the Helonites it became Agelo and in West German as Eadgil or Engel. The mysterious blonde-haired white skinned Chachapoyas of Peru are descendants of the Chauci who were one of the groups of West German Zebulonites closely related to the Frisian and Angles. The Chauci disappeared from Europe in the 3rd century moving to the Americas. In the first three centuries AD the Frisians, Angles and Chauci lived in the area of the Elbe River. They were known as the Elben or Elven people. The Saxons moved into the former areas of the Chauci. The Saxons or Sacae were originally from the Tribe of Issachar. It would seem that the Angles, Frisians and Chauci came from Calalus (Calchi) to the River Elbe in Europe after Calalus and Mexico was conquered from the Olmecs and Toltecs by the Romans in 100 BC. It would seem that these tribes allied with the Romans to build the so-called Teotihuacan civilisation after their defeat of the Olmecs (Ogres). The so-called Zapotec culture is that of the Danaan or Frisians who were known also as the Be'ena Za'a (Cloud People) before the coming of the Romans and their oppression by the Olmecs. Before moving south and establishing the Zapotec culture around 600 BC they (Angles, Frisians and Chauci) came from Calalus from Atzlan (area of Colorado and Utah- an island in an ancient Lake), Colhuacan at Canyon de Chelly in Arizona and Chicomoztoc at the Gila Cliff Dwellings in New Mexico. In 775 AD under King Nehemiah Theodoric (Theodore) of Septimania (Narbonne) Jewish Rule was reestablished in Calalus and a branch of the Manaan or Frisian Royal House returned to Calalus. 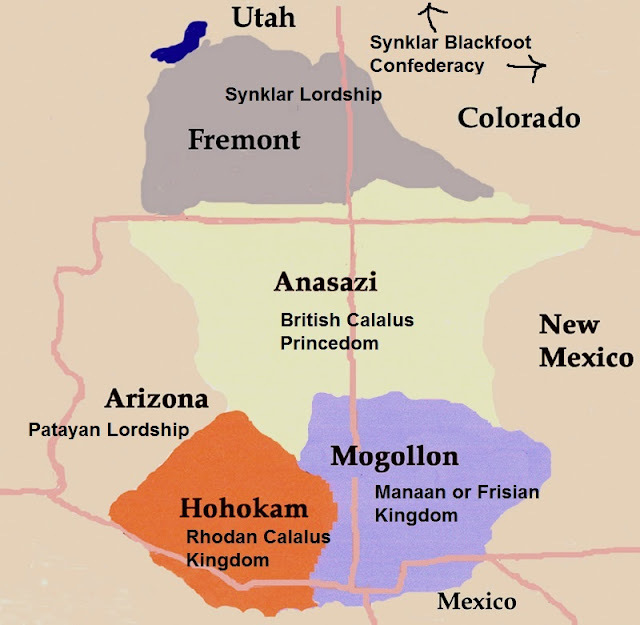 Around 820 AD a grandson of Elidyr II of the Manaan was given the rulership of the area north of Arizona. This Prince or Lord was Cadrod Synklar (Siksika which means blackfoot in the Indian language) and he and his Manaan and Rhodan warriors ruled over a kingdom known as the Kingdom or Confederacy of the Blackfoot or Blackfeet. This Confederacy or Lordship acknowledged the overlordship of the Davidic Throne of the Rhodan Kingdom of Calalus. 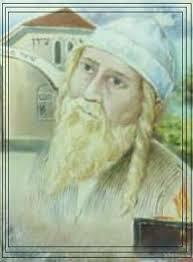 Cadrod married the daughter of King Israel I Guriad ha Makhiri (Magnarvm) of Rhoda and Calalus. Cadrod and Atala's son was called Ciman the Black Foot (Droed Ddu in Welsh) who succeeded him as the Synklar Ruler of Northern Calalus. The centre of this northern kingdom or Lordship was in the area of the Blackfoot Ranges and the Blackfoot River north of Arizona. This Lordship extended eastward over the Great Plains of America. While the Ruling class of the Manaan were Jewish and Jewish Christians the vast bulk of the natives under their rule were called Pagani or Pagans by the Synklar (Siksika) which became Pikanu or Peiganu. The Synklar Rulers were also known as the Lords of the Diamond Mines around Lake Kelsey (which was the original Diamond Lake). The so-called Fremont culture represents the heart land of this northern Siksika or Synklar kingdom which is south of the Blackfoot mountain ranges. This Judeo-Christian settlement in North America was ruled over by a Jewish Davidic King and a Jewish Sanhedrin of elders. The round buildings called Kivas were the Jewish-Christian chapels or synagogues that were first built as Adoration chapels during the Arthurian period of Calalus' history. Larger Kiva's were built for community Eucharistic worship after the King and the leading citizens of Rhoda embraced a Jewish-style Catholicism around 800 AD. One branch of the Synklar Lords became the Sinclair Lords of Rosslin (R1b U106 Z30) in Scotland and another branch known as the Finck (Diamond) Lords (R1b U106 Z331) went into Germany. The noble Finck von Finckenstein family may be one branch of this second family. Some of them joined the Ashkenazi Jewish community. Both these branches descend from Ithick (Idigg) the Diamond Lord of Calalus [born 925] who left America with his son Iddon (Yahalom Adon) who married Lady Papia of Normandy a daughter of Richard I the Fearless Duke of Normandy and his wife Lady Gunnor of Denmark. 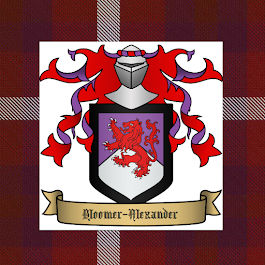 Another branch of this family may have been the founded by Aymon (Hamon) a grandson of Ithick who became the Viscount de Dinan or Dinant of Brittany and of the aristocratic family of Dinham in Devon in England. Another branch went to Ulster and became the O'Diamain family. Iddig was the son of Lord Llywarch (the Horse leader) of the Synklar who in turn was the son of Lord Llofan of the Synklar the son of Ciman the Blackfoot. Lord Idigg had a son called Meurig or Mauger the Elder who was known in German as Markwart von Eppenstein or Elfenstein. This word came from the use of the terms of Elfen or Elven stone for the diamonds or jewels which came from Calalus. The diamond is also the stone in the Jewish High Priest's breastplate that represents Zebulon. It was also known as Finkel stone. The Manaan who were usually tall and blonde were associated with the term Elf or Elven. One branch of this family were the Dukes of Carinthia and another branch became the Finck von Fickenstein family while other members used the name Finck, Finkelstein and Epstein. Finckenstein Palace in Poland and the name of the River and nearby fortress of Elblag or Elbling was named for these Elven Lords. Eppenstein Castle in Austria was originally the Elfenstein Castle. Also the area of Elfenstein in the Harz mountains of Germany was a settlement of the Elven Manaan. Some researchers believe that the ruins of Rhoda the capital and royal city of Calalus was those at Tumamoc Hill overlooking Tucson and there is also the ruins of a fortress further south about 16 miles on Black Mountain (Arizona). In fact I hold that the capital city includes the ruins of Tumamoc Hill and Black Mountain but that the heart of the city is in the Tucson Mountains and the huge Limestone blocks found in the Tucson Mountains from the Chaos Mountain on the north east (not far from the Silver Bell Rd where the Tucson artifacts of Calalus were found) to the Bren and Cat mountains on the east and south are the remnant of the Limestone blocks that made up the walls of this great city. Thus the low Tucson Mountains may be the ruins of the great city of Rhoda. It is also possible that the mountains of Santa Catalina, Rincon and Santa Rita along with the Tucson mountains all hide the ruins of the Rhodan Capital and hide a huge city complex surrounded by the four so-called mountain ranges. However the latter Limestone Rhodan capital may only be found in the Tucson Mountains and the bigger complex having been built and destroyed in earlier times of American history. In these earlier periods a long time before 100 BC and the establishment of Roman Calalus Arizona had a different landscape with large freshwater lakes and vegetation. The dating methodologies used by archeologists and anthropologists are notoriously inaccurate and the dating of the periods is in need of revision. The so-called Pueblo I period is most likely the time of the Arthurian period in Calalus history around 520-700 AD. The Pueblo II period is that of the first phase of the Septimanian Roman Jewish period from 775-860 AD and the second phase of the Septimanian Roman Jewish period Pueblo III 860-1000. The so-called Basketmaker III era was most likely the period of Roman Calalus from 100 BC- 400 AD. Pueblo IV period is the period after the exodus of the bulk of the white population to Europe and any remnants mainly intermarried with the native American Indians. However there were still small groups of white tribes that moved elsewhere in the Americas. One group are the Mandans of the Alabama and Georgia areas and those that moved to the Appalachian Mountains and later became known as the Melungeons. Others went south into South America. It may be that Tolkien's Middle-Earth may allude to the peoples of Calalus. The area of the Anasazi being that of the Hobbits who were British or Welsh settlers that were mostly under 5 ft 4. The Mogollon area of the Frisians or Manaan represents the Elves who are tall and blonde. The Synklar or Fremont area represents Rohan and Hohokam and Patayan represent Arnor and Gondor. The Dwarves represent the miners of the Calalus settlements. The Orks in Tolkien represent the Toltecas or Olmecs who invaded Calalus from Mexico. The Wizards represent the Romano-Jewish Catholic Bishops and Abbots of Calalus. Gandalf represents Quetzalcoatl. It would seem that the Welsh settlers were not in favour of the evangelisation of the pagan peoples as they hadn't been in Britain. They were traditional enemies with the pagan Frisian Kingdom to their south. However the newly converted Jewish Catholics were keen on evangelisation. However this came to a head in the reign of Israel III in 880 AD who gave the Toltecas (pagan American Indians) their independence and he was banished and Israel IV took the Throne. After the defeat by the Indians of the Calalus kingdoms most returned to Europe but a remnant moved to the area of Tennessee, Alabama and Georgia where the Rhodan, Welsh and Frisian remnants eventually united into one allied people and in the 12th century their settlement was reinforced by the Welsh under Prince Madoc of Wales. Both the Choctaws and the Comanche tells of these tall white giants (the Frisians) who they encountered and fought with and killed them in the area of Tennessee. It would seem some of those of the white remnant from the Synklar confederacy moved west to the Great Lakes area into western Canada and where they were visited and resettled on the islands of the northern Atlantic by Henry Sinclair the Earl of the Northern Isles in the 14th century. It is also interesting that it is into this area in the south west of the USA that the crypto-Jewish Spanish settlers moved into during the time of Spanish expansion from Mexico. Many of these crypto-Jewish settlers may have been partly descended from the Rhodans who had returned to Europe and settled in northern Spain around 1000 AD and joined in the fight to free Spain of Muslim rule. Among these returnees to Europe were those who entered the noble and royal classes as Catholics who maintained Jewish customs and practices in the secrecy of their homes and families and those who joined the religious Jewish community. Due to the rise in anti-Semitism and anti-Judaism these Jewish origins were hidden by both the Catholic and Jewish communities. I always believed for Rossylin clan is Davidic and Stewart branch. No the Stewarts are R1b L21 and the Sinclairs of Caithness as well as the Rosslyn line and the Argyles all belong to R1b U106(S21). You can check with the Sinclair dna project. Thank you for your wonderful insights and research. I was able to share your work with Dr. Cyclone Covey before his passing and he was very impressed with your work (see Calalus Revisited). Dear Myra, thrilled to hear from you and to learn about your book. I didn't know about it so I have ordered a copy. I treasure my copy of Dr Covey's book. Amazed to think he heard about me before his death. Thank you for the information I had never heard of him before. I had a look at his website and it seems that it is some kind of strange religious cult with false prophecies. I would advise people to avoid any connection with such groups.